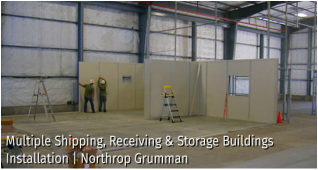 All of the modular buildings and portable enclosures we offered can be easily relocated or expanded at a later date, which offers enormous flexibility for your next office space, industrial partition, guard shelter, clean room, or laboratory. 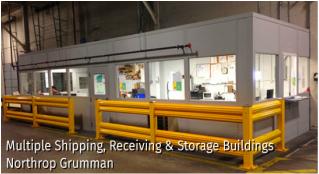 We work with several manufacturers of of these types of products, and can help design, layout, and install any of these systems to meet your requirements. Contact us today for a free quote. 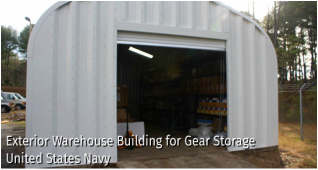 You can also visit our Modular Buildings & Enclosure Portfolio to see some of our completed projects. Founded in 1995, Ebtech Industrial Building Solutions is a global supplier of modular building systems, pre-engineered structures, and hardened protective technologies. Their products are not only manufactured and assembled in the USA, and market proven—they’re also backed by a 10-year limited warranty. Ebtech’s wall systems offer unique, complementary advantages for many specialized building and materials needs. Starrco has been providing modular office solutions since 1965. Our success and growth is built on our steadfast commitment to quality, innovation and our unparalleled customer service. We offer a wide variety of modular office systems – from a single user office to a two story multiple office complex. Our modular office solutions are manufactured to precisely fit the client’s application and install in a fraction of the time of conventional construction. For more than 30 years, PortaFab pre-engineered modular building have been helping companies solve in-plant space problems and develop cleaner, more aesthetically pleasing work environments. 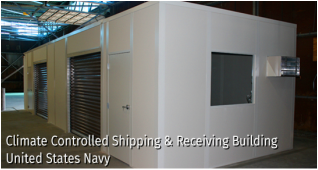 Their extensive line of modular inplant offices and buildings can be configured to satisfy an endless amount of applications.